Becoming a manifestor is easy. We do this constantly. Understanding why and how to get what we want takes a little investigation into what we have actually been doing and identifying what has been sabotaging our results all along. This means looking at what we think and believe in greater detail than ever, pulling out all those automatic thoughts and beliefs that no longer serve us and replacing them with ones that do. When you examine yourself thoroughly there will be discoveries that will astound you. It will make sense why life may have seemed like Groundhog Day. It will seem obvious and simple to adjust, which in theory it is. However it is not always easy. The most common area people require change is in their money situation and in the midst of financial difficulties it is hard to believe that changing your thoughts and what you say about what you are now experiencing will create a difference. The present crisis feels too real but this is where the shift in behaviour must begin. Understand that what you see now and class as reality is a result of what you have created up until this point. If you are looking at an empty bank account and say, ' I have no money' and then feel that in your body, you can only attract more of the 'I have no money' reality. This can seem complicated and it is not always easy to shift state when there are purchases to be made and debtors to satisfy. However this is how manifestation works combining the vision of our ideal, with feelings and pronouncements of what we want to come to us. This takes practice and vigilance over our mind chatter which will be all too keen to remind us that it is nonsense. 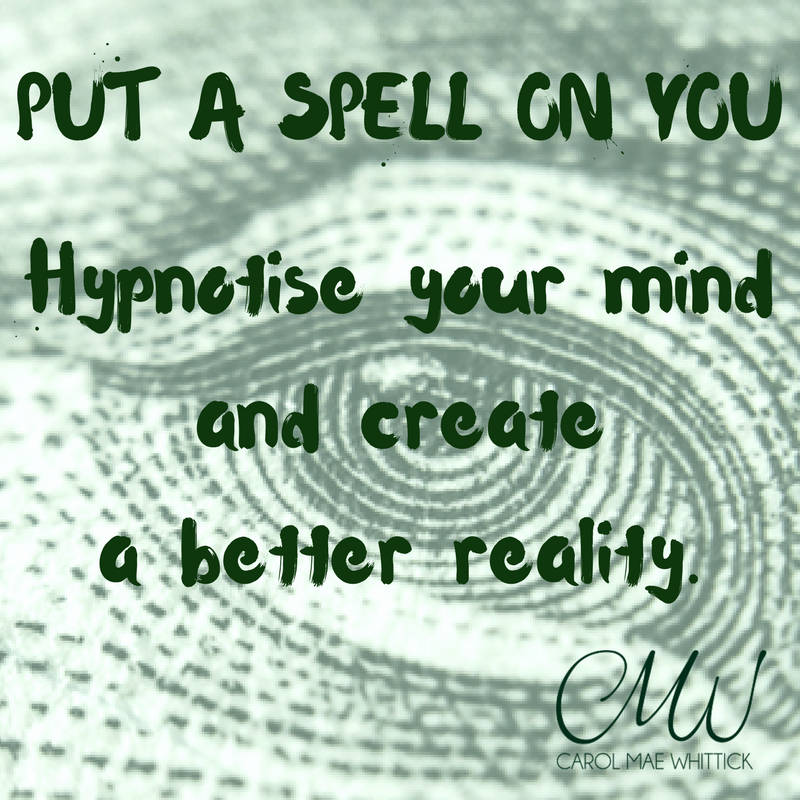 But treat this as a game and hypnotise your mind and create a better reality.